"What's important is: what are you going to do about it?" 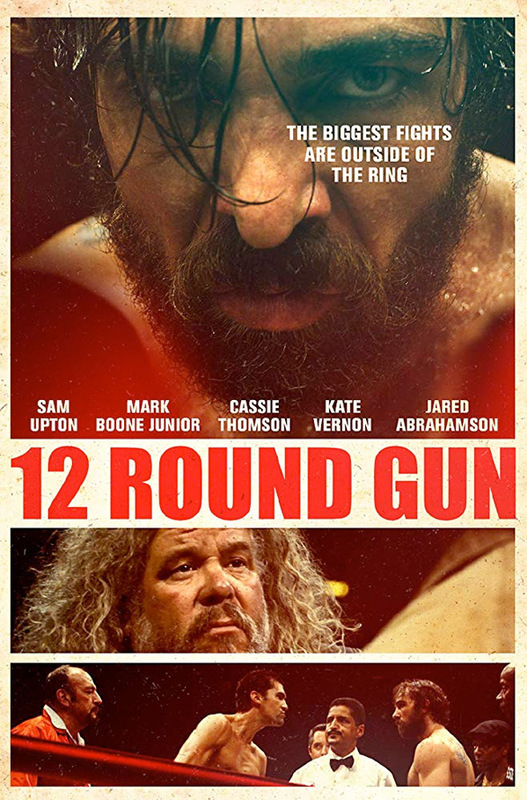 Gravitas Ventures has released an official trailer for a new boxing drama titled 12 Round Gun, the feature directorial debut of actor Sam Upton, who also stars in the film. It originally had the title of Gun, won an Audience Award at the Beverly Hills Film Festival last year, and is now getting a VOD release. Upton plays a washed up, alcoholic ex-prizefighter who makes a comeback to boxing after his top heavyweight contender son is wrongfully blinded in the ring. Also starring Mark Boone Junior, Kate Vernon, Jared Abrahamson, Cassi Thomson, Isaac C. Singleton Jr., Holly Gagnier, and Jay Acovone. This looks just like every other boxing film, with nothing new to offer. A washed up, alcoholic ex-prizefighter, Joe Romano (Sam Upton), makes a comeback to boxing after the tragic death of his son. With the help of his friend (Mark Boone Junior), Joe faces his darkest moment of truth. With newfound sobriety and hope, Joe finally takes action and challenges his rival to a 12 Round Gun rematch. 12 Round Gun is both written and directed by American actor / writer + now filmmaker Sam Upton, making his feature directorial debut with this film after directing a few short films previously. This premiered at the Beverly Hills Film Festival last year, and played at the San Diego, Portland, Sidney Indie, Wales, and Chelsea Film Festivals; it also won Best Feature at the Cinema At The Edge Festival. Gravitas Ventures will release Upton's 12 Round Gun direct-to-VOD starting November 16th this month. Anyone?